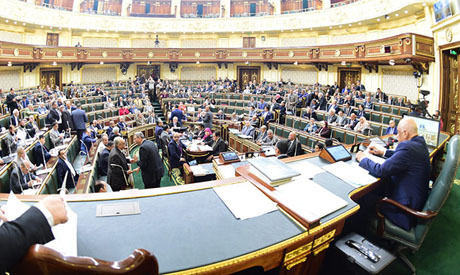 The Egyptian House of Representative passed on Tuesday proposed amendments to Egypt’s 2014 constitution, including an amendment that possibly extends President’s Abdel-Fattah El-Sisi time in office until 2030. According to Parliament Speaker Ali Abdel-Aal a vast majority of MPs has agreed on the newly introduced amendments. A number of 531 members voted in favor of the new amendments while 22 members rejected and only one member abstained from voting out of a total of 554 eligible members. The 54-page-long amendments were all passed in a general session late on Tuesday. Three sessions were held in parliament on Tuesday to discuss and vote on the amendments. The first session saw a general debate on the amendments, the second involved a discussion on the articles, and the vote was held during the third session. Among the most important of the amended articles are those increasing the presidential term from four to six years, allocating 25 percent of parliamentary seats to female candidates, introducing the upper chamber of the parliament (the Senate) and reinstating the post of vice president. The amendments will be put to a public referendum. Egyptians abroad will go to the polls on 20 and 21 April, while some 55 million eligible voters within the country will be able to vote on 22, 23 and 24 April. If approved the amendments will take effect immediately.